Eleven years have passed since the Tain Saints kicked a ball in anger. Last night, a revived St Duthus FC took to the field in a friendly match with Fortrose Union, as preparations for the 2016-17 season continued. 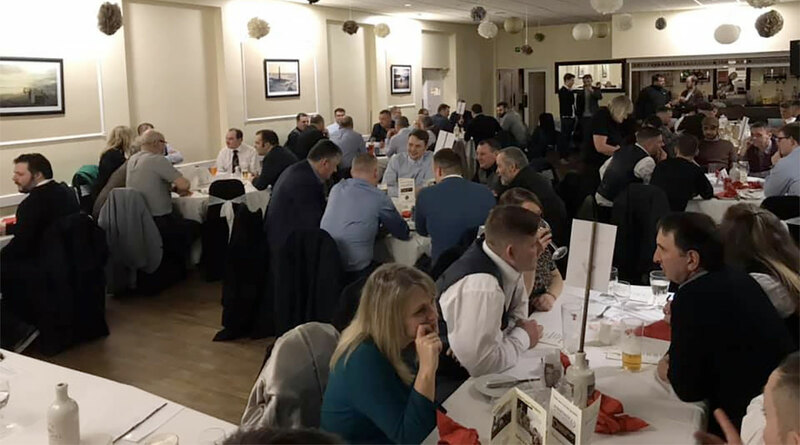 The game ended in a 6-0 victory for the Tain team, with supporters and committee alike hailing the visit to the Black Isle as a fitting way to restart the club's life on the field of play. A squad of sixteen traveled for the game, with several trialists joining up with Stuart and the team from around the county. Starting up top, Jamie Skinner was the first to test the opposition keeper with a long range drive five minutes into the game. The shot on target followed an earlier free kick attempt which sailed over the bar. 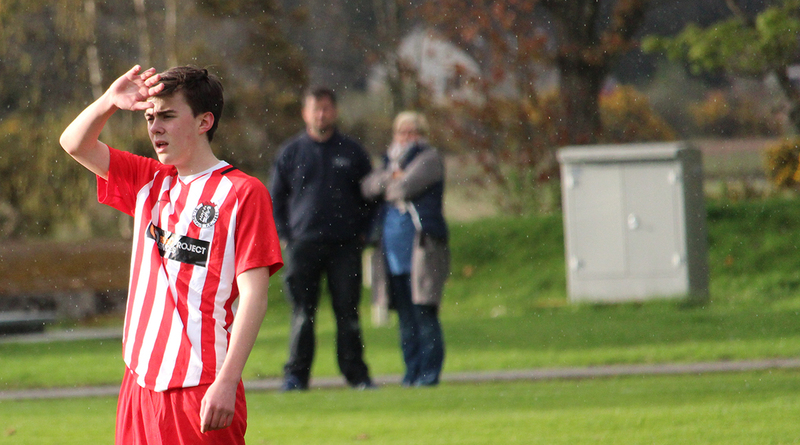 Former Ross County youth Finn Chainey, who was playing in the left wing position, proved a handful for the home team's defence from the word go, and his purposeful runs and troublesome stride saw him canter into some dangerous positions along the byline on more than one occasion. The Saints' trialist striker was giving the homesters a torrid time of it with some determined runs, and on eight minutes it looked like the Saints had scored as his ball across goal fell to Chainey at the far post, but the Edderton man's effort on goal was blocked by a defender and cleared to safety. Moments later the trialist's good work on the left flank to find Ken Morrison in the eighteen yard box saw the midfielder rifle a powerful shot towards goal. His shot, however, was saved before the rebound fell to Paul Cowie who in turn looped an effort over the defence and just wide of the post. Then came the trialist's opener on fourteen minutes. Quick off the mark, Trialist pounced on a slack pass back from Gordon Whyte to dispossess goalkeeper Stuart Lockhart and tap the ball into an open Fortrose net. It wasn't the most glamorous of ways for the Saints to reopen their account after an eleven year drought, but they all have to go in somehow! As quickly as the game was restarted, St Duthus had doubled their lead, and it was straight from the kick off that Paul Cowie snatched the ball from the Fortrose rearguard and lobbed the ball over the top of the Fortrose custodian from 25 yards, much to the amazement of the crowd. Now 2-0 up, the Saints had a firm grasp on the game. Ken Morrison, determined to get in on the scoring action, sent a 20 yard effort over the bar after good work from Jamie Skinner sent Chainey into space in the eighteen yard box who in turn played the ball to Marty Farquhar for a neat layoff. 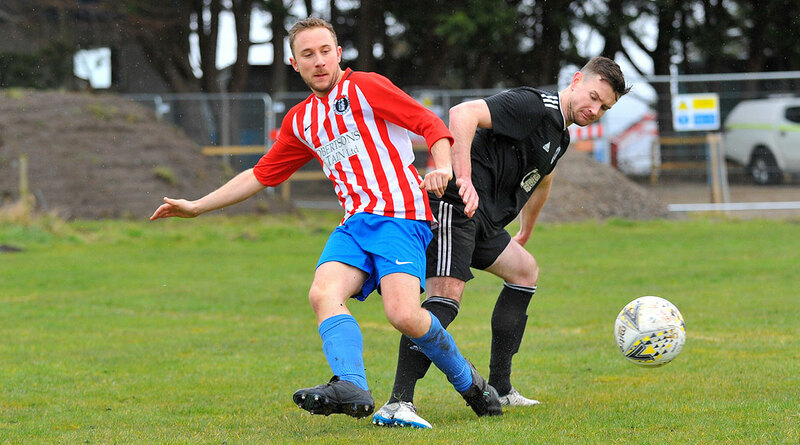 Finn Chainey was next to notch after he carried a pass from Cowie for sixty yards, deceiving Fortrose defender Dixon Kerr along the way before dragging the ball past the last man and sending the ball past the keeper. The first half ended very much in the Saints' favour, with the back four of Martyn Farquhar, Ryan Day, a trialist centre half and Graham Noble and goalkeeper Steven Martin rarely troubled. Farquhar offered the first test of the first half, juggling the ball as he turned toward goal before shooting over the bar. Shortly after, clever work from a substitute trialist on the edge of the box saw the striker fire an effort high across goal as the keeper could only watch as it cannonned off his far post. A fourth goal duly arrived on 55 minutes from the penalty spot. A Gordon Whyte shoulder charge on Trialist in the box led to referee Scott Matthew blowing the whistle and the striker converted the chance with a confident kick, sent in off the upright. 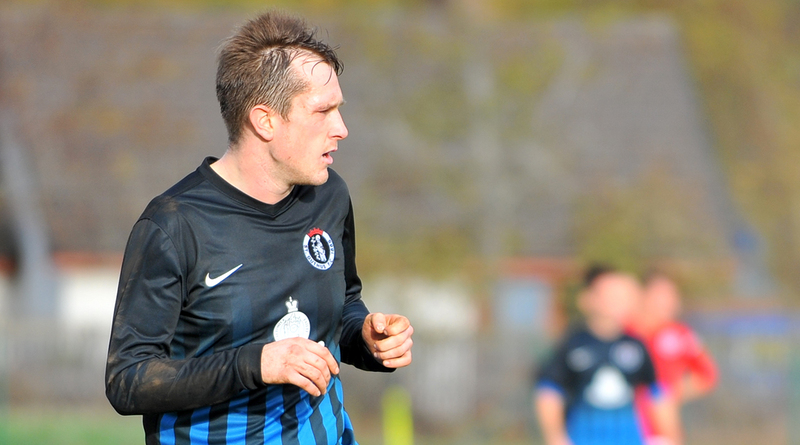 The substitute trialist tested the Fortrose stopper again with a low free kick on the hour mark before getting on the scoresheet minutes later thanks to a great buildup. The move started with goalkeeper John Allan and Lewis Ross at the back, before Martyn Farquhar found Duncan MacKenzie on the right wing. The former Aberdeen University man then crossed to the feet of the trialist sub, who in turn powered the ball under the Fortrose keeper with his left foot from 15 yards. A fine team goal, fitting of the command St Duthus had shown for the hour's play. A quick double save from substitute keeper Craig Maclean kept the score at 5-0 when the Fortrose stopper kept out a MacKenzie shot before getting a foot to a Skinner effort on the rebound. 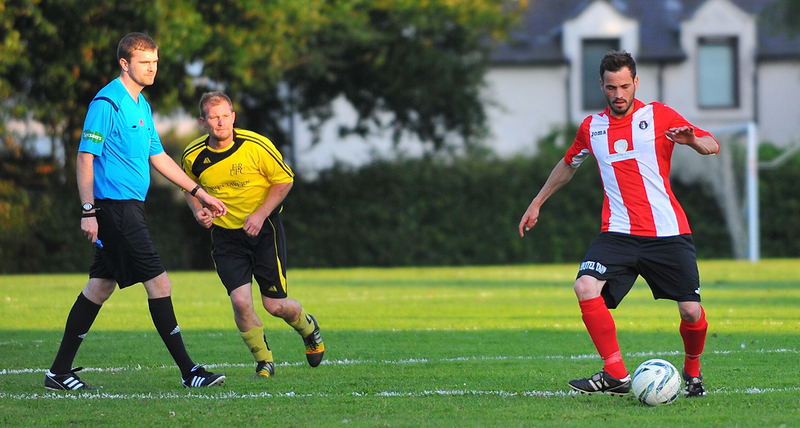 The sixth and final goal of the evening eventually arrived for Trialist as he secured a hat-trick. Getting on the end of a great ball from Ryan Day which sailed over the Fortrose back line, he showed great composure to curl the ball into the top corner of the net. 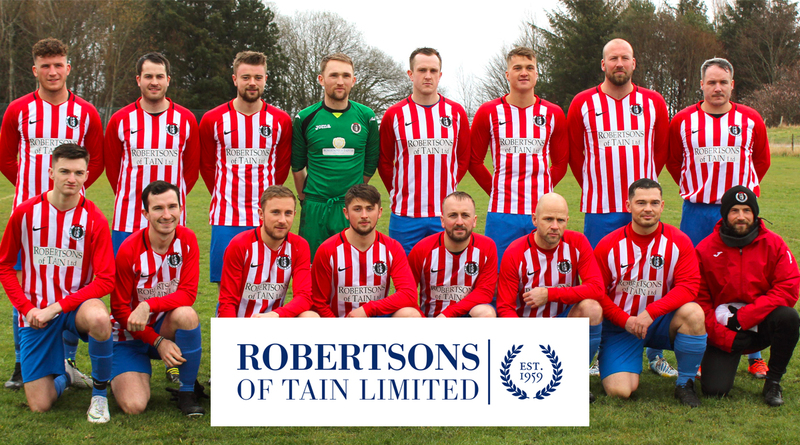 With the news that the curtain will not be raised on the new North Caledonian League season until September, the Saints now seek additional friendly match dates, with Monday, August 22nd v Fort William (in Dingwall) the only other confirmed date on the calendar.